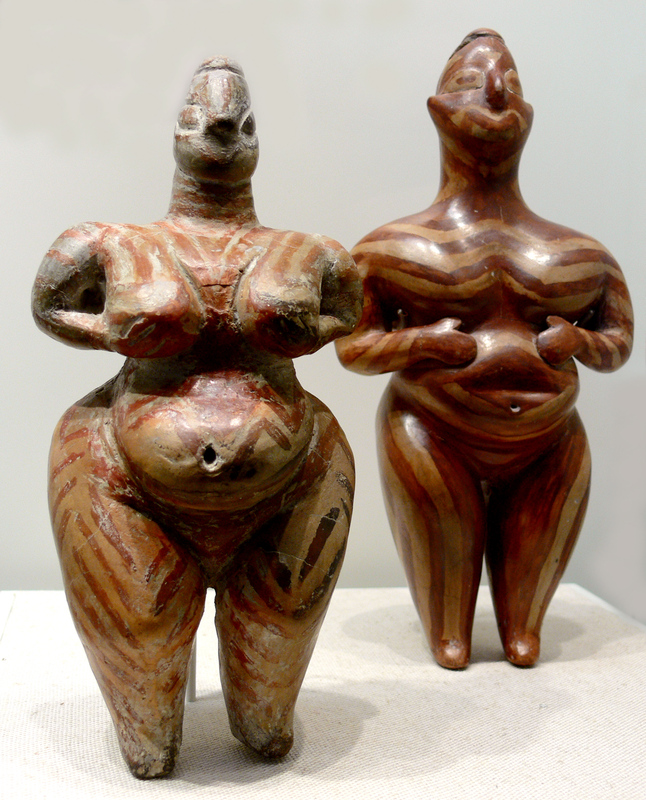 The occupants of Boncuklu Höyük, or literally the “Beaded Mound,” are thought to be ancestors of the people of Çatalhöyük, a very large Neolithic and Chalcolithic settlement in southern Anatolia. 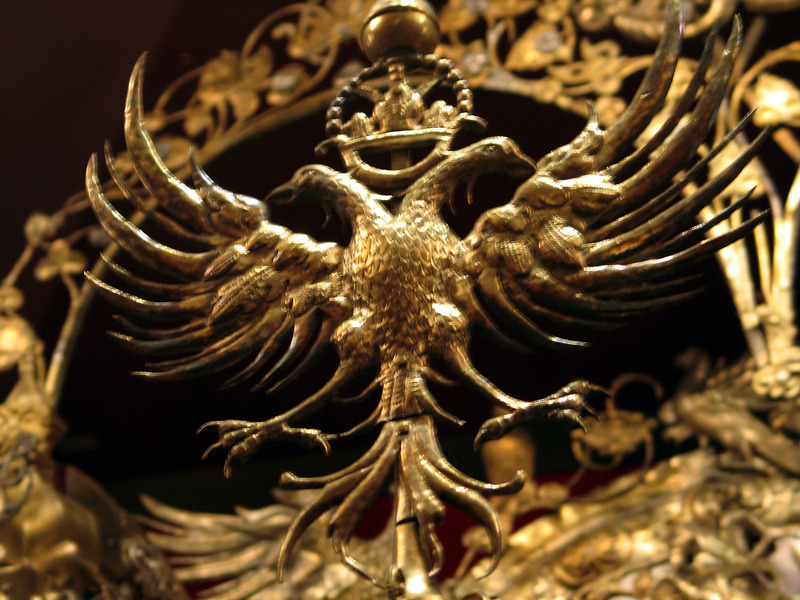 The deepest layers of the mound are thought to date from around 7,500 BC. 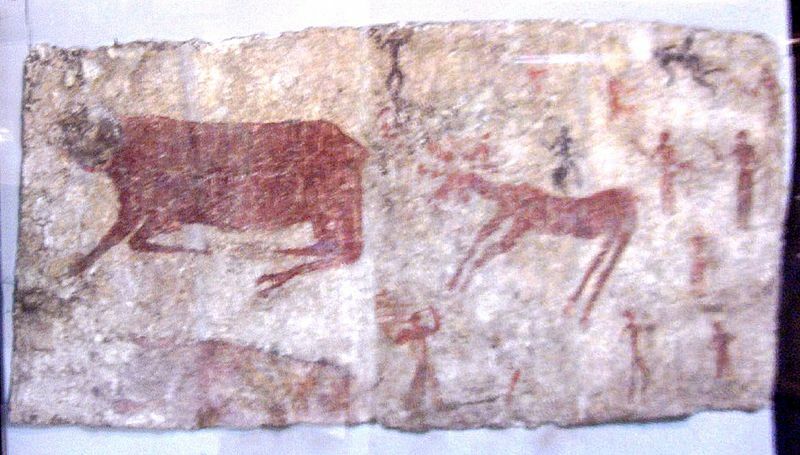 The settlement reveal information previously unknown about the lives of nomadic human communities in times before settlement, say archeologists. 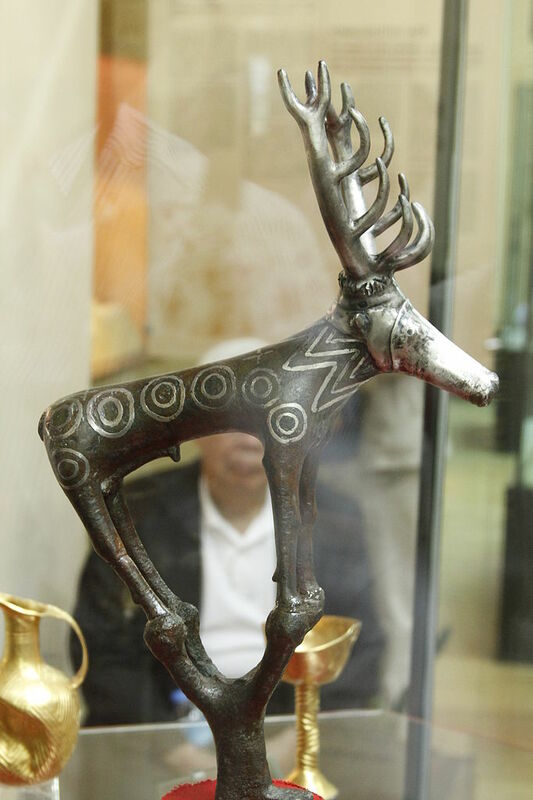 The settlement discovered in Konya dates back 11,000 years. 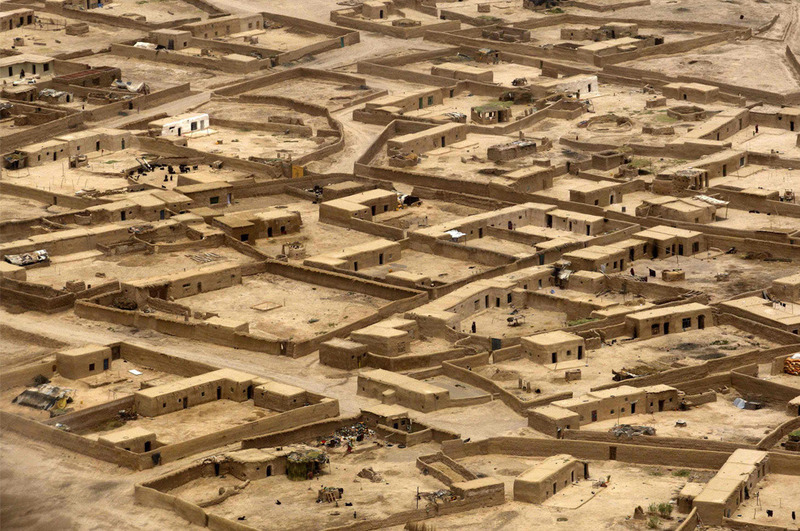 It was a settlement occupied by a nomadic tribe 11,000 years ago. 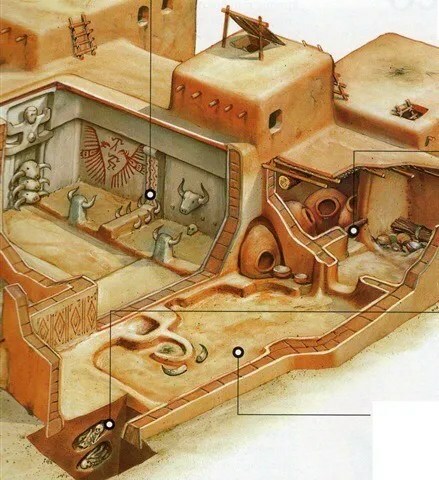 Çatalhöyük and Boncuklu Höyük, with very similar artifacts found at both sites, cannot be thought of separately, according to Baird, whose team thinks the people of Boncuklu Höyük preceded those in Çatalhöyük by 2,000 years. 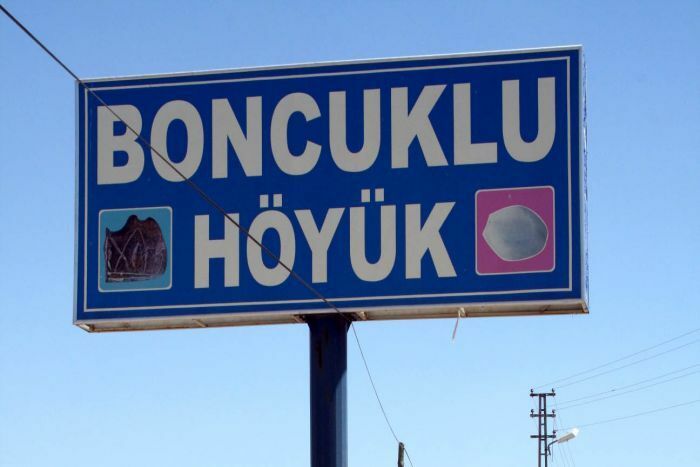 Boncuklu Höyük is thought to have been a temporary settlement for nomadic tribes used for brief stays during the course of their journeys. 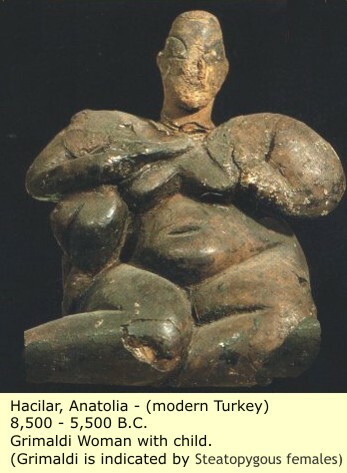 In other words, they are the ancestors of Çatalhöyük. 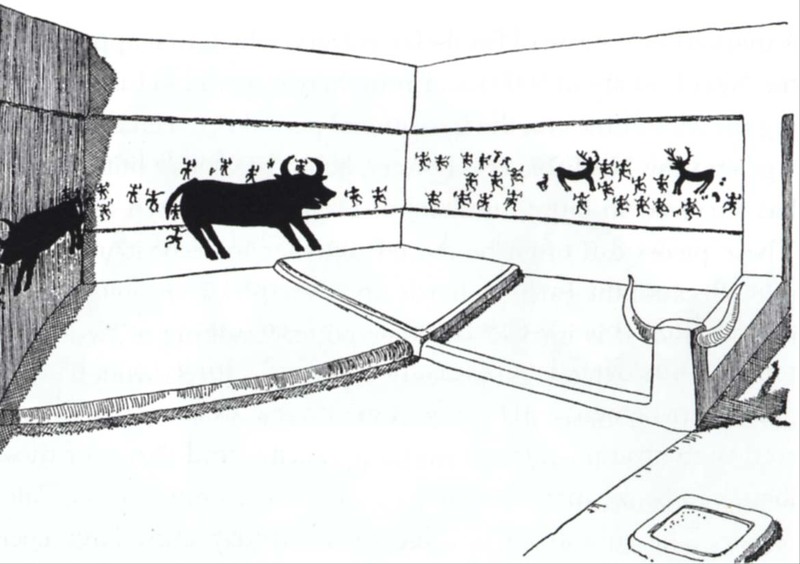 The people of Boncuklu Höyük, like those of Çatalhöyük, did not have a completely settled lifestyle. 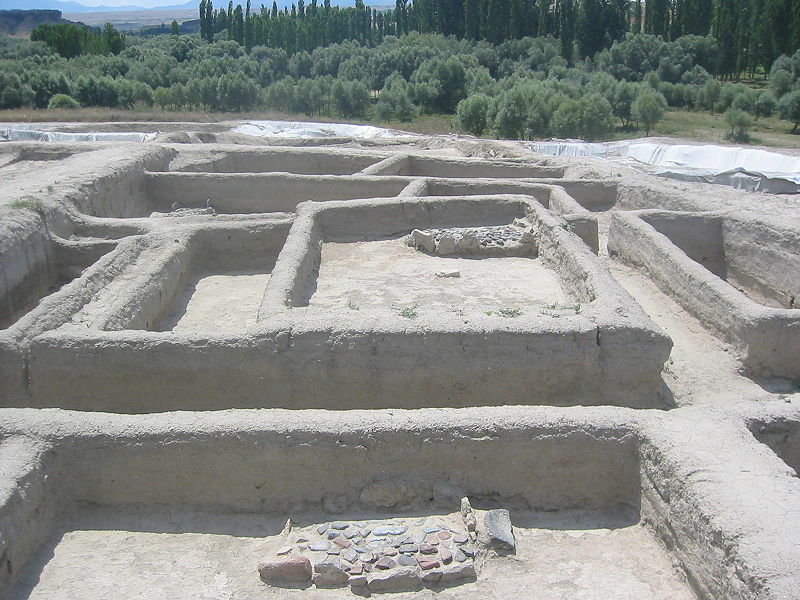 According to Baind the descendants of that community might have migrated to Çatalhöyük, where they formed an early settlement, developing agriculture and raising stock. 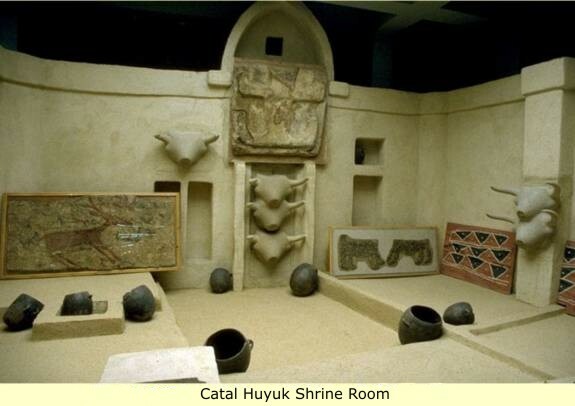 Çatal Höyük (çatal is Turkish for “fork”, höyük for “mound”) was a very large Neolithic and Chalcolithic settlement in southern Anatolia, which existed from approximately 7500 B.C. to 5700 B.C. It is the largest and best-preserved Neolithic site found to date. In July 2012, it was inscribed as a UNESCO World Heritage Site. 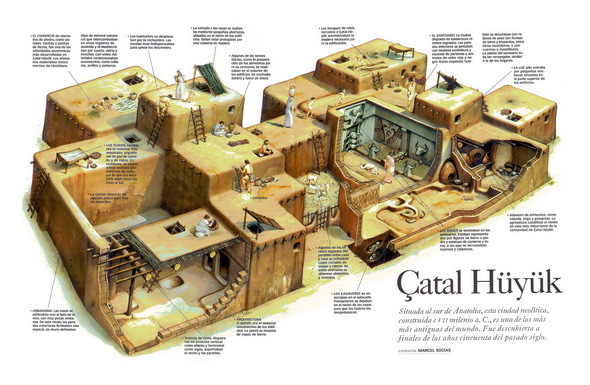 Catal Huyuk was one of the world’s first towns and its ruins demonstrate the agricultural techniques of some of the human race’s first farmers. 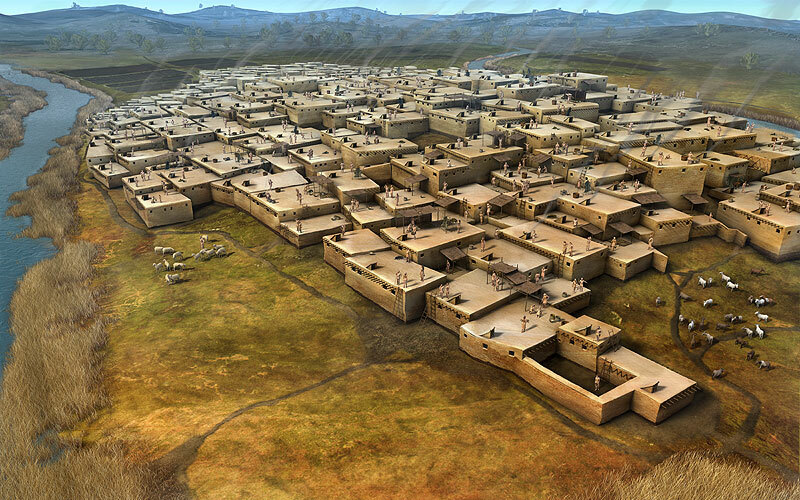 This settlement, located in the present day country of Turkey, contained about 1,000 residences by the year 6,000 B.C. It sat at the northern end of what was apparently a trade route between itself and the city of Jericho. 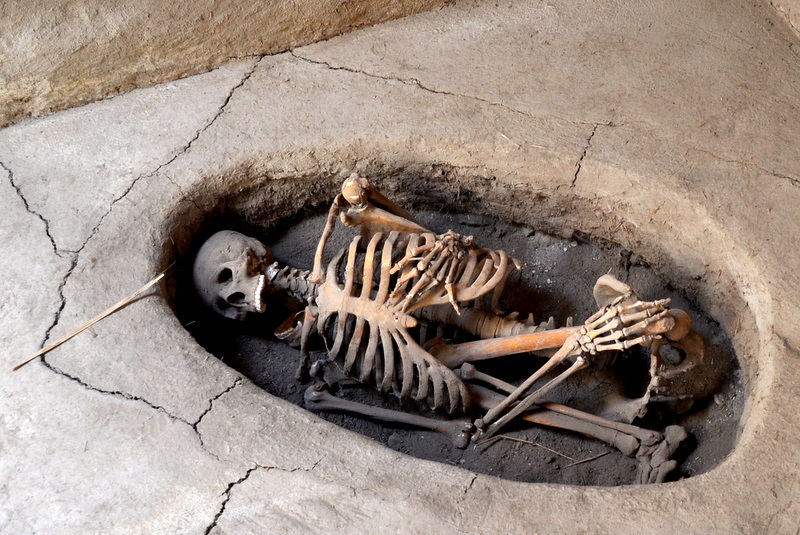 Here men and women tried to survive using the earliest farming methods known to our ancestors. 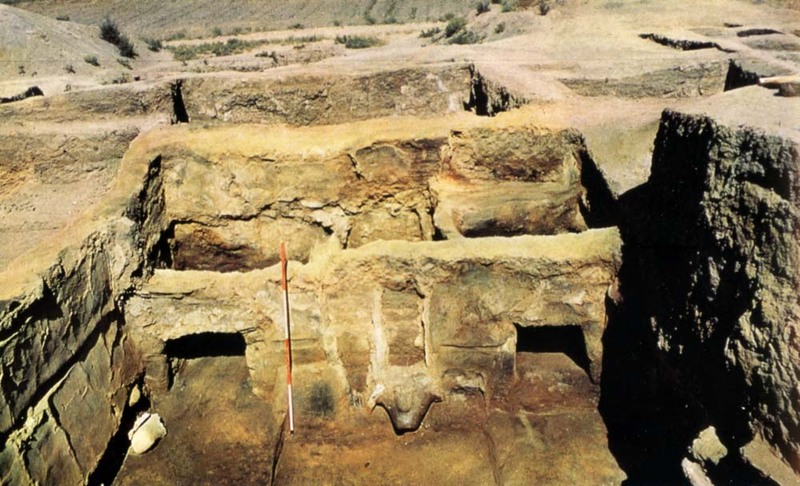 Aşıklı Höyük is a settlement mound located nearly 1 km south of Kızılkaya village on the bank of the Melendiz brook, and 25 kilometers south – east of Aksaray, Turkey. 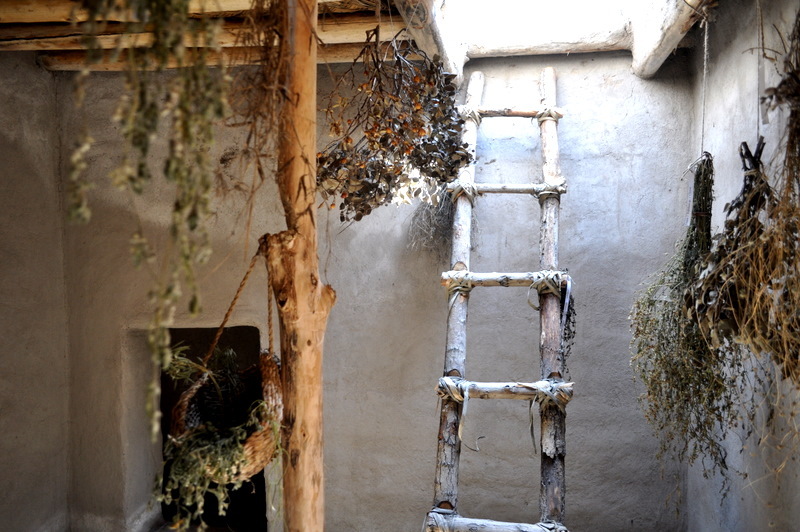 Aşıklı Höyük is located in an area covered by the volcanic tuff of central Cappadocia, in Aksaray Province. 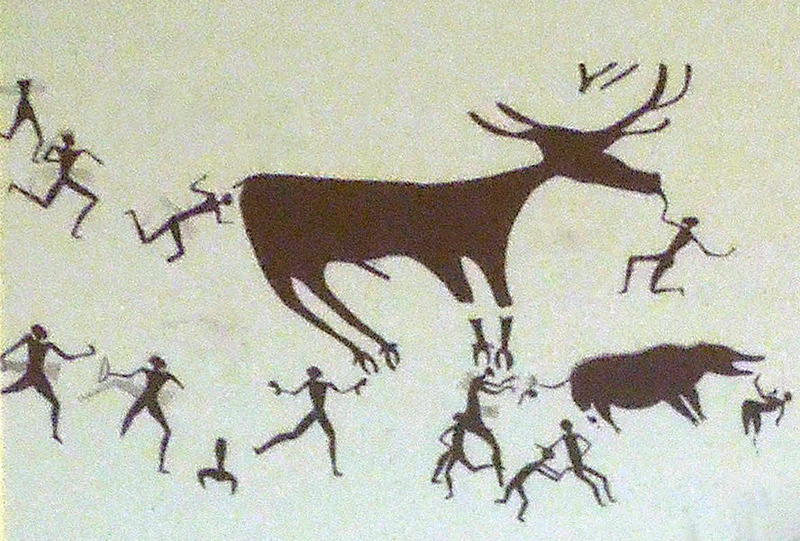 The archaeological site of Aşıklı Höyük was first settled in the Aceramic Neolithic period, around 8000 BC. 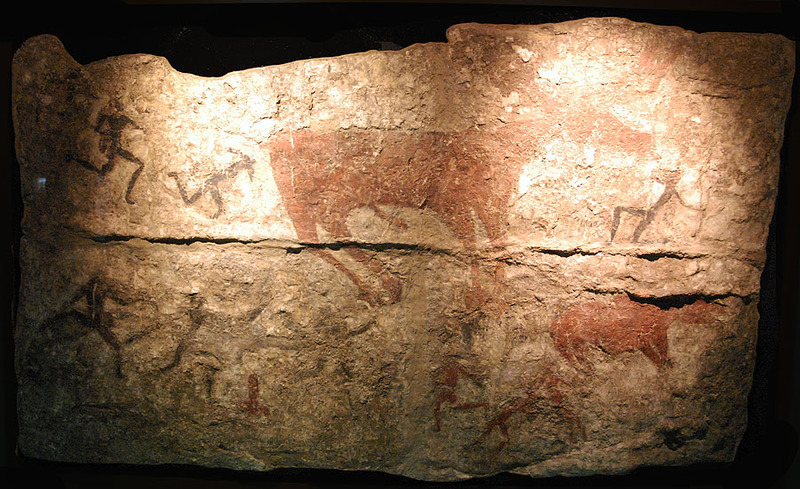 Hacilar is an early human settlement in southwestern Turkey, 25 km southwest of present day Burdur. 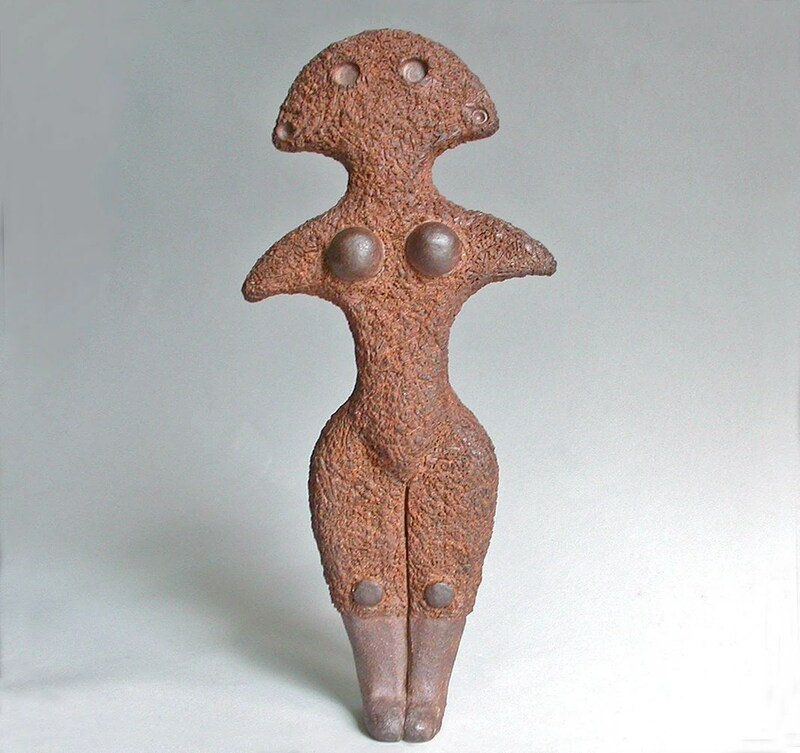 It has been dated back 7040 BC at its earliest stage of development. 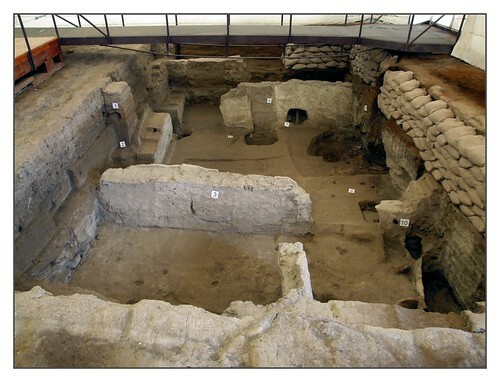 Archaeological remains indicate that the site was abandoned and reoccupied on more than one occasion in its history. Tell Halaf is an archaeological site in the Al Hasakah governorate of northeastern Syria, near the Turkish border, just opposite Ceylanpınar. 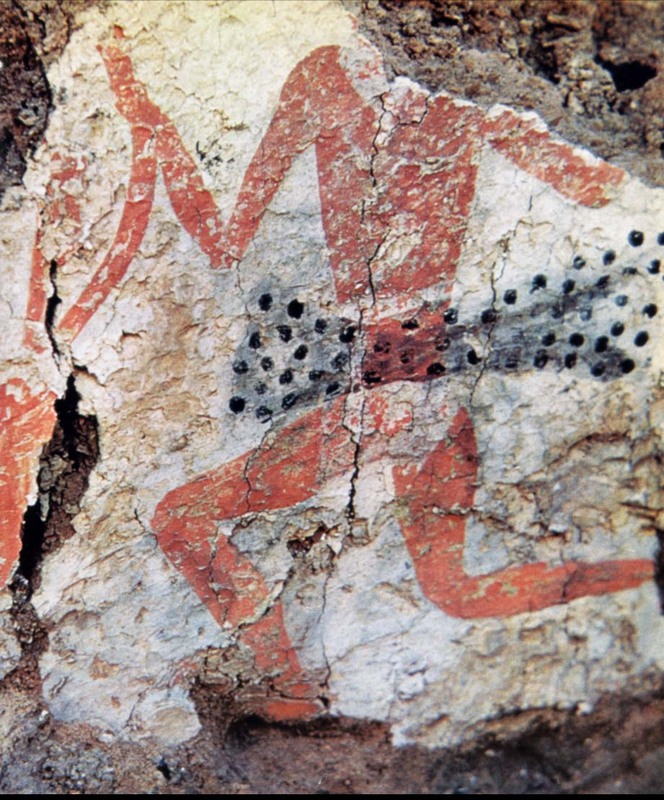 It was the first find of a Neolithic culture, subsequently dubbed the Halaf culture, characterized by glazed pottery painted with geometric and animal designs. 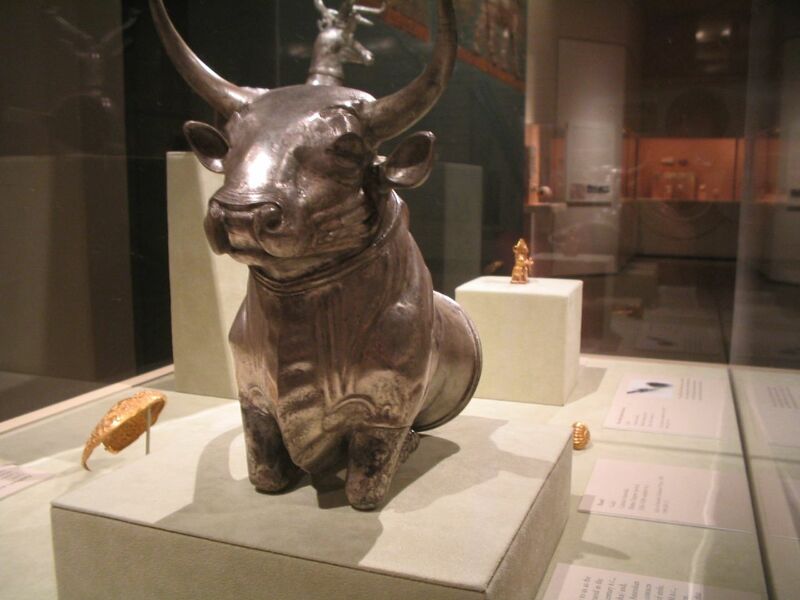 The site dates to the 6th millennium BCE and was later the location of the Aramaean city-state of Guzana or Gozan. Tell Halaf is the type site of the Halaf culture, which developed from Neolithic III at this site without any strong break. 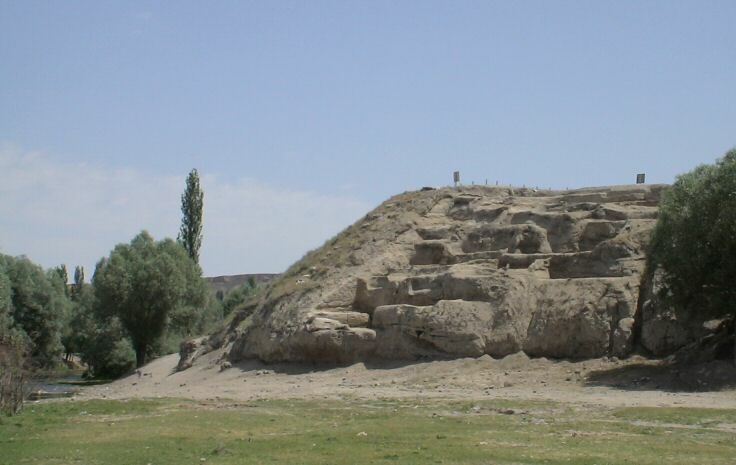 The Tell Halaf site flourished from about 6100 to 5400 BCE, a period of time that is referred to as the Halaf period. 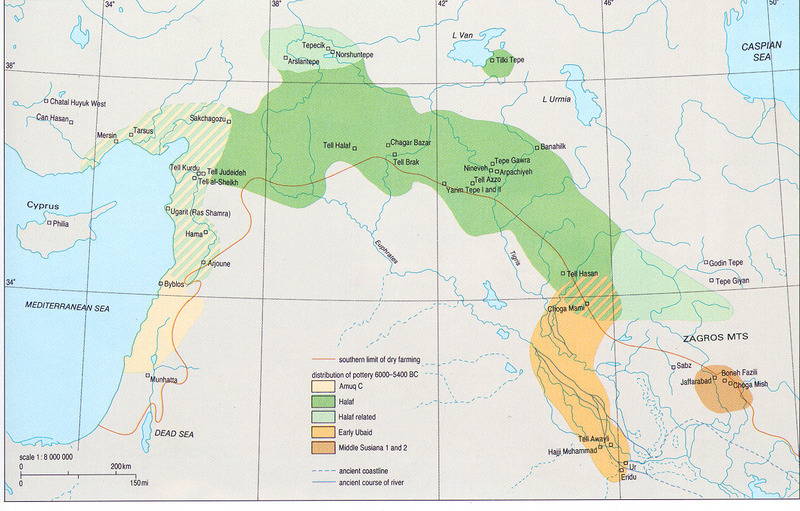 The Halaf culture was succeeded in northern Mesopotamia by the Ubaid culture. The site was then abandoned for a long period. 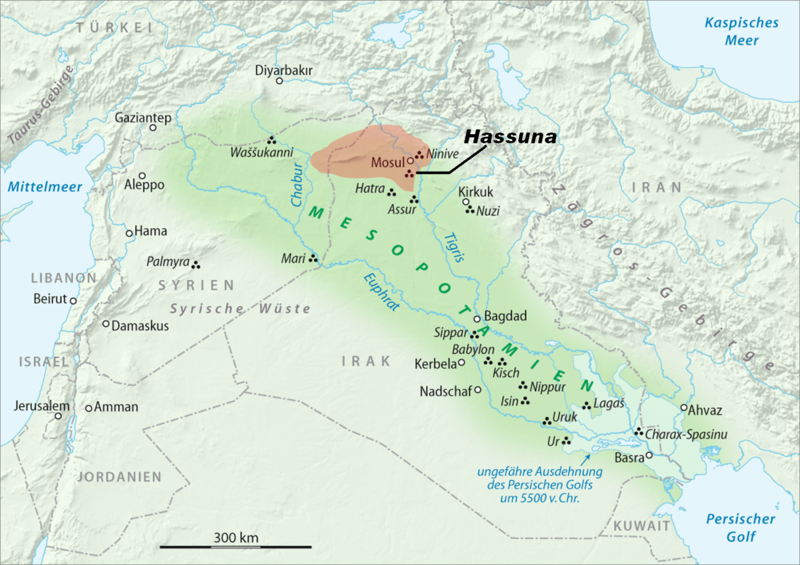 Hassuna or Tell Hassuna is an ancient Mesopotamian site situated in what was to become ancient Assyria, and is now in the Ninawa Governorate of Iraq west of the Tigris river, south of Mosul and about 35 km southwest of the ancient Assyrian city of Nineveh. 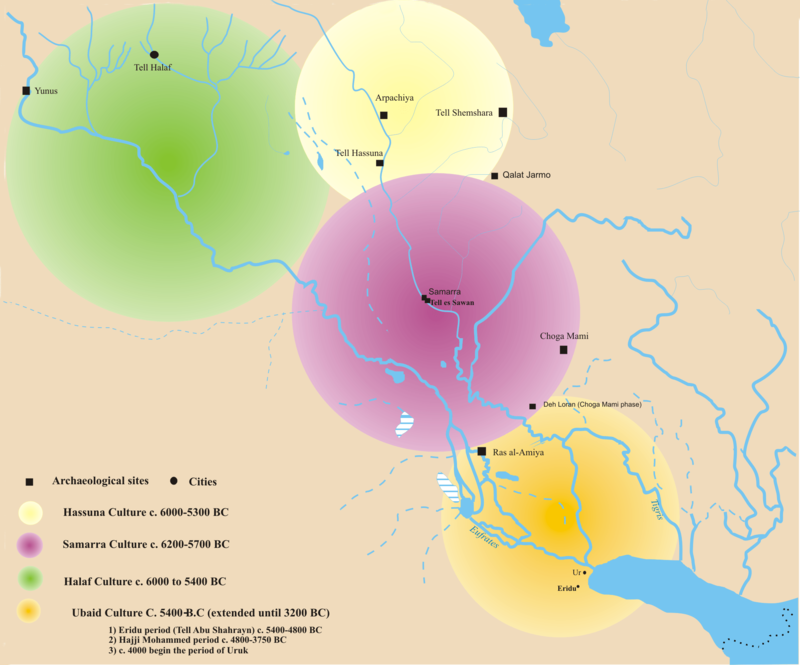 By around 6000 BC people had moved into the foothills (piedmont) of northernmost Mesopotamia where there was enough rainfall to allow for “dry” agriculture in some places. 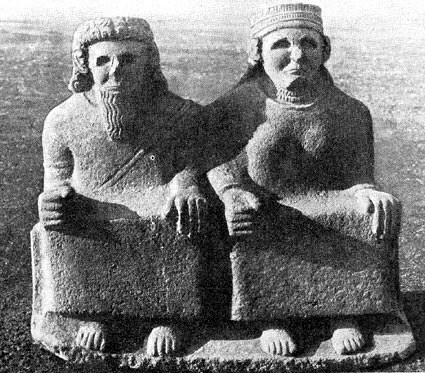 These were the first farmers in northernmost Mesopotamia. 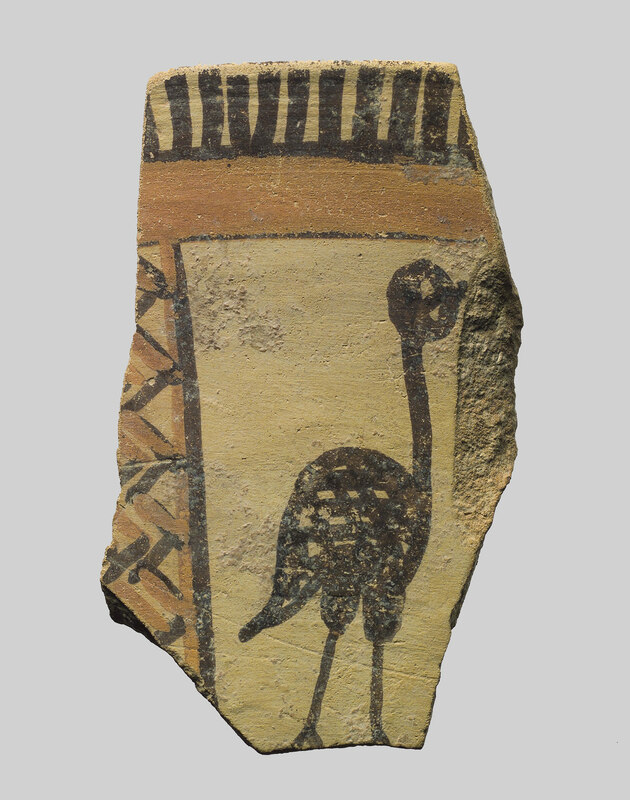 They made Hassuna style pottery (cream slip with reddish paint in linear designs). 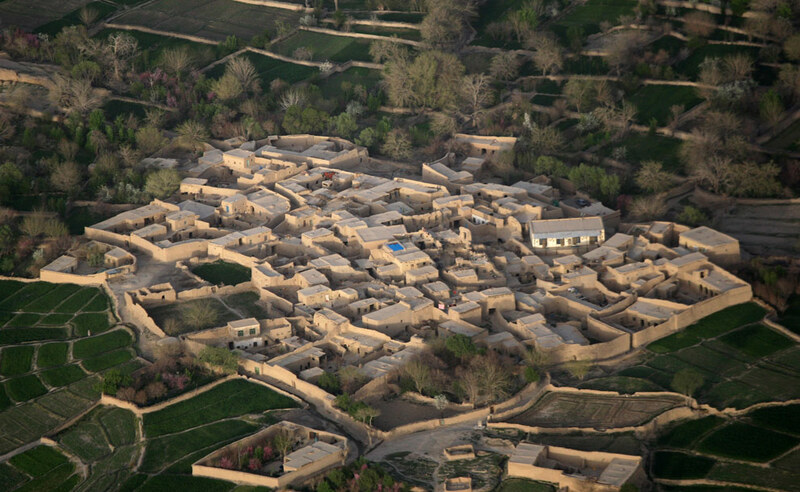 Hassuna people lived in small villages or hamlets ranging from 2 to 8 acres (32,000 m2). 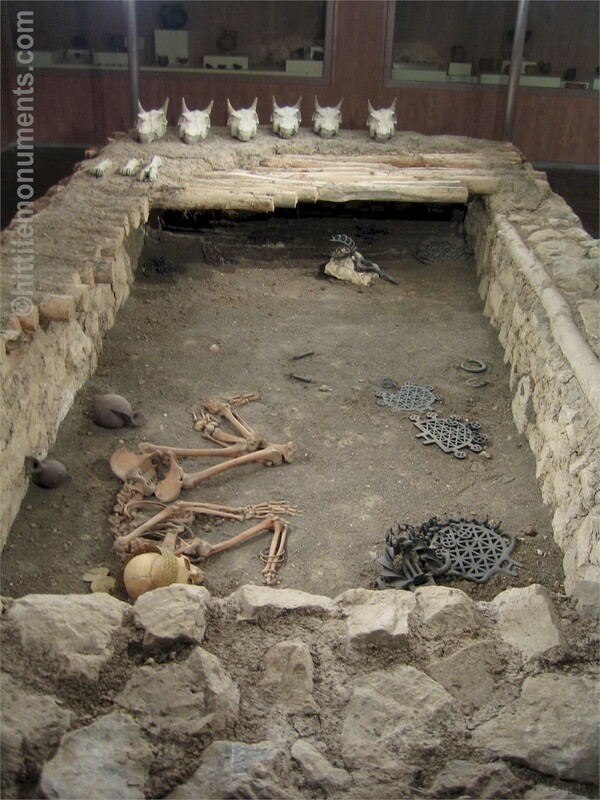 The remains of ancient Samarra were first excavated between 1911 and 1914 by the German Archaeologist Ernst Herzfeld. Since 1946, the notebooks, letters, unpublished excavation reports and photographs have been in the Freer Gallery of Art in Washington, DC. 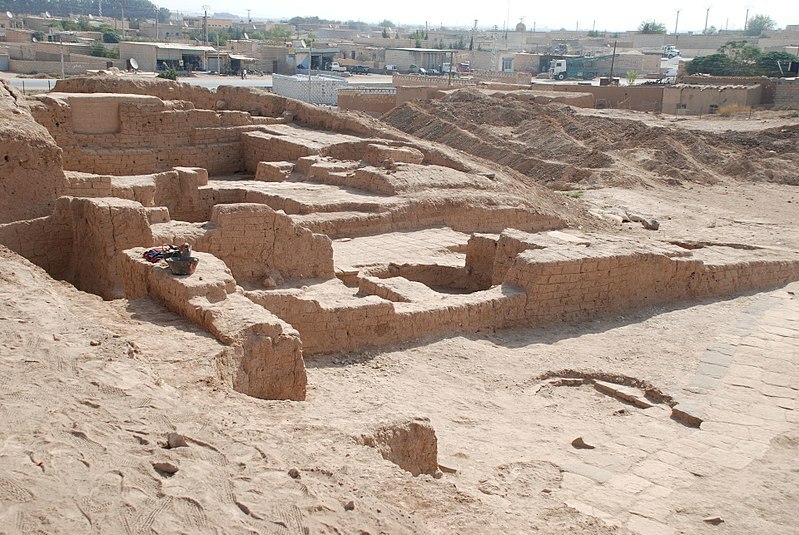 Though the present archaeological site covered by mudbrick ruins is vast, the site of Samarra was only lightly occupied in ancient times, apart from the Chalcolithic Samarran Culture (ca 5500–4800 BC) identified at the rich site of Tell Sawwan, where evidence of irrigation – including flax – establishes the presence of a prosperous settled culture with a highly organized social structure. 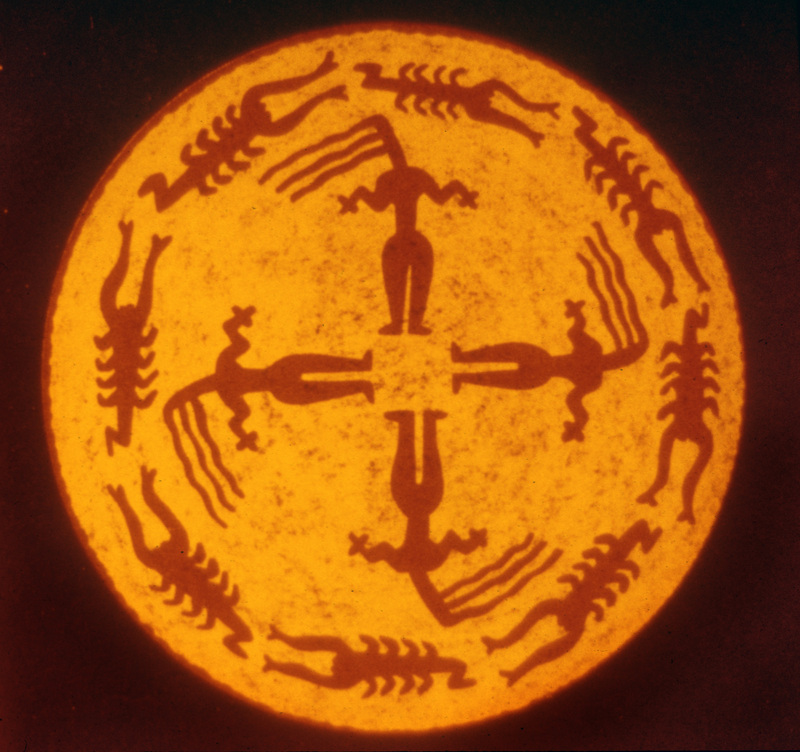 The culture is primarily known for its finely-made pottery decorated against dark-fired backgrounds with stylized figures of animals and birds and geometric designs. 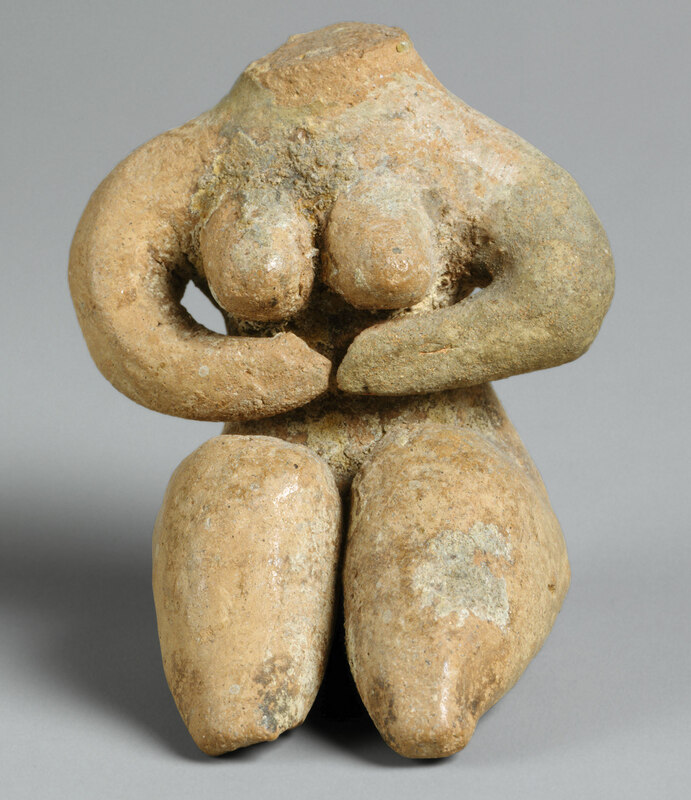 This widely-exported type of pottery, one of the first widespread, relatively uniform pottery styles in the Ancient Near East, was first recognized at Samarra. 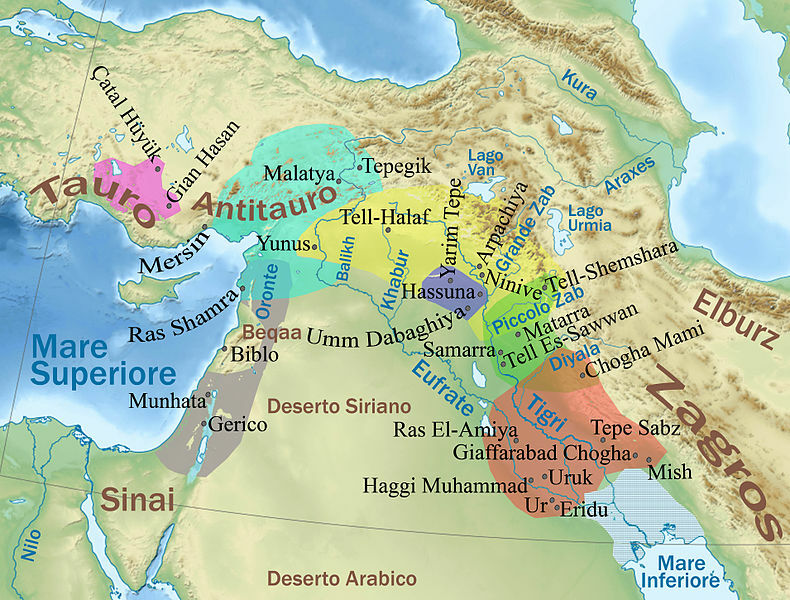 The Samarran Culture was the precursor to the Mesopotamian culture of the Ubaid period. Hattusa (Ḫa-at-tu-ša, read “Ḫattuša”) was the capital of the Hittite Empire in the late Bronze Age. 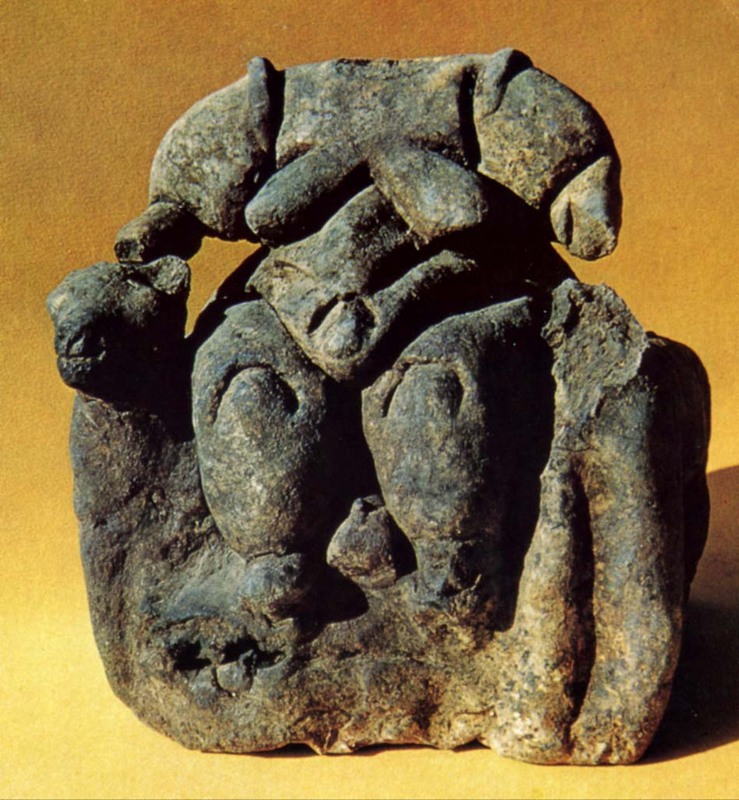 It was found to be located near modern Boğazkale, Turkey, within the great loop of the Kızılırmak River (Hittite: Marashantiya; Greek: Halys). 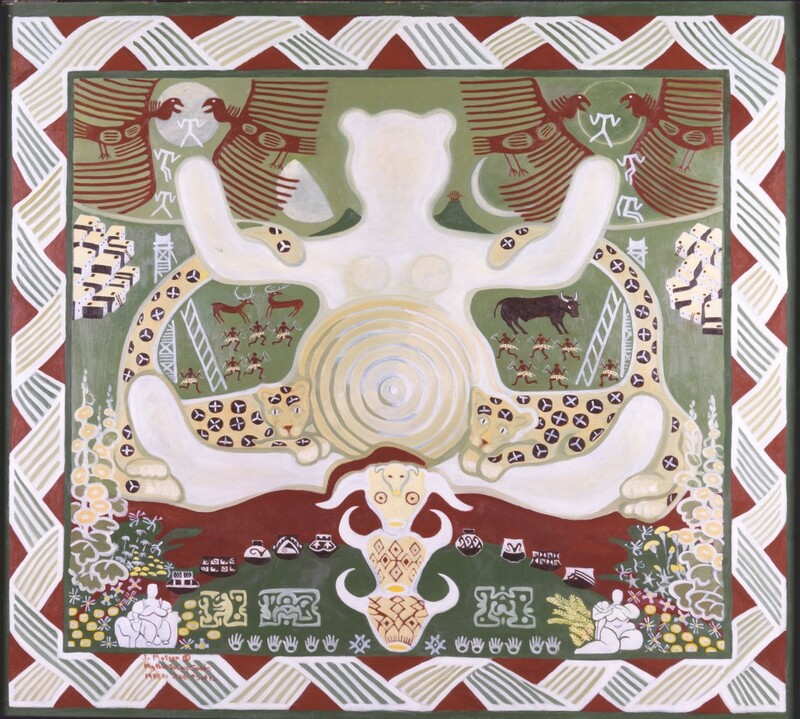 Before 2000 BC, a settlement of the apparently indigenous Hatti people was established on sites that had been occupied even earlier and referred to the site as Hattush. The Hattians built their initial settlement on the high ridge of Büyükkale. 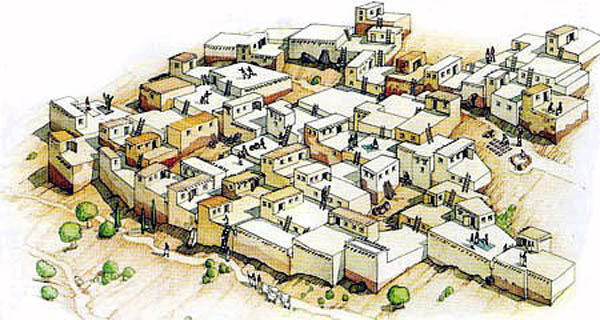 The earliest traces of settlement on the site are from the sixth millennium BC. 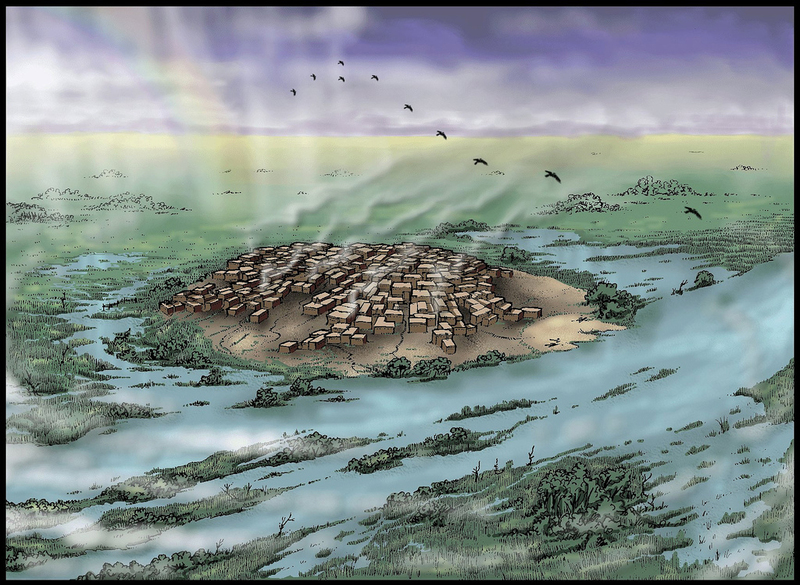 In the 19th and 18th centuries BC, merchants from Assur in Assyria established a trading post there, setting up in their own separate quarter of the city. 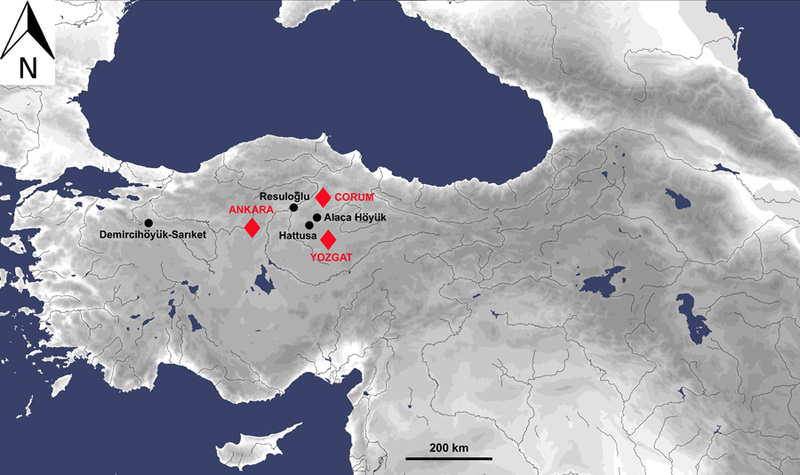 The center of their trade network was located in Kanesh (Neša) (modern Kültepe). Business dealings required record-keeping: the trade network from Assur introduced writing to Hattusa, in the form of cuneiform. 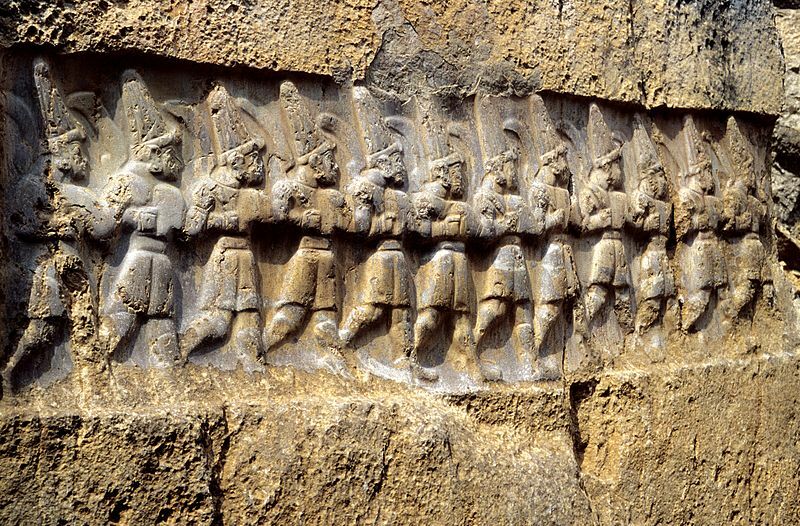 Only a generation later, a Hittite-speaking king had chosen the site as his residence and capital. 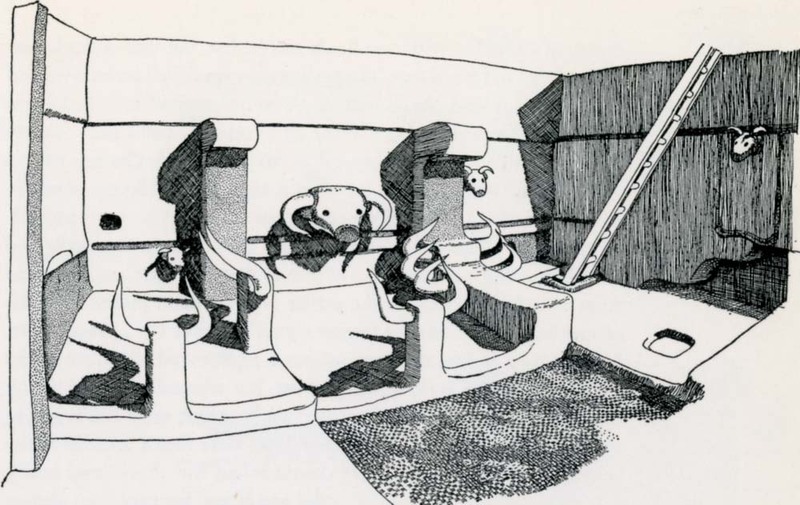 The Hittite language had been gaining speakers at Hattic’s expense for some time. 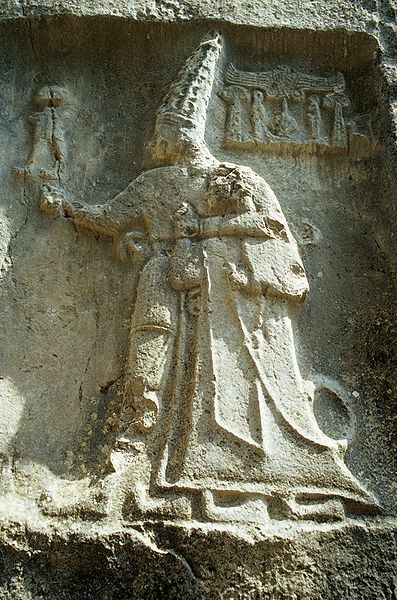 The Hattic Hattus now became the Hittite Hattusa, and the king took the name of Hattusili I, the “one from Hattusa”. 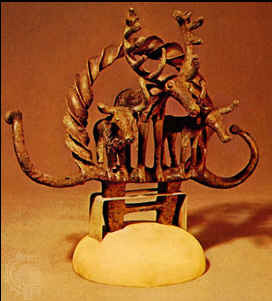 Hattusili marked the beginning of a non-Hattic-speaking “Hittite” state and of a royal line of Hittite Great Kings — 27 of whom are now known by name. Yazılıkaya (Turkish; inscribed rock) was a sanctuary of Hattusa, the capital city of the Hittite Empire, today in the Çorum Province, Turkey. This was a holy site for the Hittites, located within walking distance of the gates of the city of Hattusa. It is intriguing to note how the Hittite practise of assimilating other cultures’ gods into their own pantheon is in evidence at Yazilikaya. 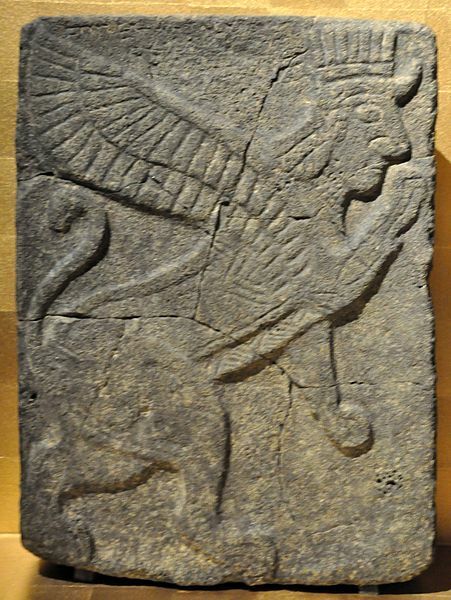 The Mesopotamian god of wisdom, Ea (Enki) is shown in the male procession and the god Teshub was a Hurrian god who was syncretized with the Hittite storm-god. Hebat’s original consort was changed into her and Teshub’s son (Sharruma) and she was later syncretized with the Hattic sun-goddess of Arinna. 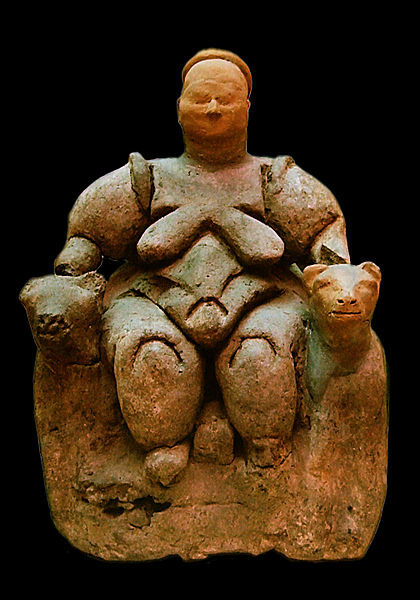 It is believed that the wife of the Hittite king Hattusili III, Puduhepa, who was the daughter of a Hurrian priestess, also played a role in the increasing Hurrian influence on Hittite cult.